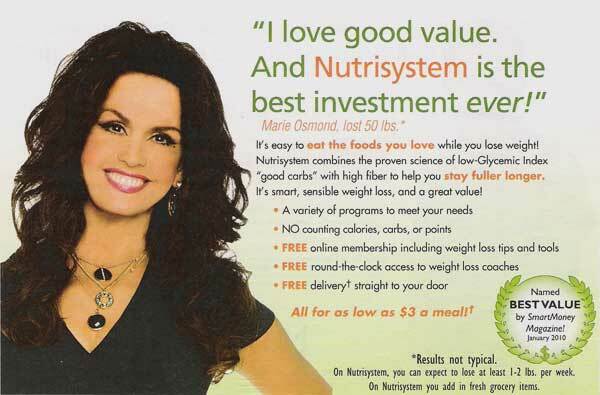 Marie Osmond (born Olive Marie Osmond on 13 October 1959 in Ogden, Utah), is an American actress and singer. She starred in the TV shows, Donny & Marie, Maybe This Time and the Marie talk show. She partnered with Kmart in 1977 to sell skin care and a personalize fragrance. 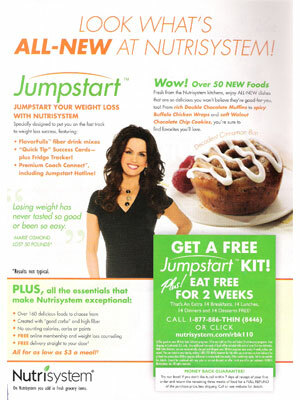 Marie Osmond is a spokesmodel for Nutrisystem (Slimsational Stars, campaign). Check out all the endorsement ads!